Often I hear particular comments revolving around Nintendo and their games, especially ones that Nintendo never has any new IPs and re-use the old characters all the time. Although I can’t deny that Mario and co. see a great deal more action than some other characters (come on Nintendo, give a little love to Samus), I will refute that Nintendo never have new IPs. After all, one is right here, Code Name S.T.E.A.M. on Nintendo 3DS. Code Name S.T.E.A.M. is the latest turn-based strategy franchise from Intelligent Systems, the developer that has games like Fire Emblem and Advance Wars under their belts, so suffice to say that this particular genre of game is in good hands. Set during the Victorian era, the player is given the control of Henry, during an alien invasion on London. Henry is a soldier already, quickly finding a steam-powered rifle to take down the alien menace, then later meeting up with one of his cohorts to continue the fight. The continued story involves Queen Victoria, President Abraham Lincoln, a military organisation and various insane fictional reinterpretations of history, but I wouldn’t want to ruin any of the brilliance of the story, so I will say no more. 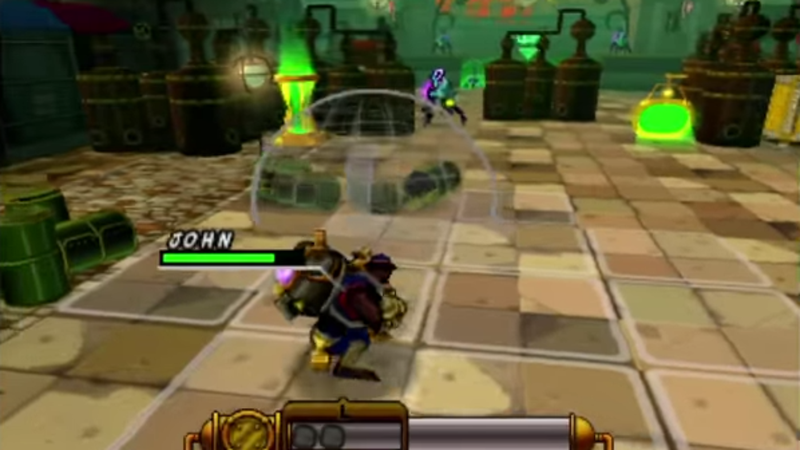 The gameplay of S.T.E.A.M. is its most unique feature, as everything in the game is powered by steam. During a player’s turn, every movement through the grid-based maps and every action uses your available steam. If you run out of steam, that character cannot move or shoot or defend themselves (more on this later), then the player is subject to the whim of the enemy’s turn. This leads to the player needing to plan every movement so as to not be caught out by the enemy and trapped. After a certain point in the game, your characters are able to equip a primary and secondary weapon; this once again adds further dynamics to the player’s strategy as each weapon has different steam usage, attack distance/trajectory and damage potential. For instance, John’s grenade launcher can attack from further away and causing more damage, but uses considerably more steam than Henry’s rifle. Then there is one of the more important techniques to remember, Overwatch. 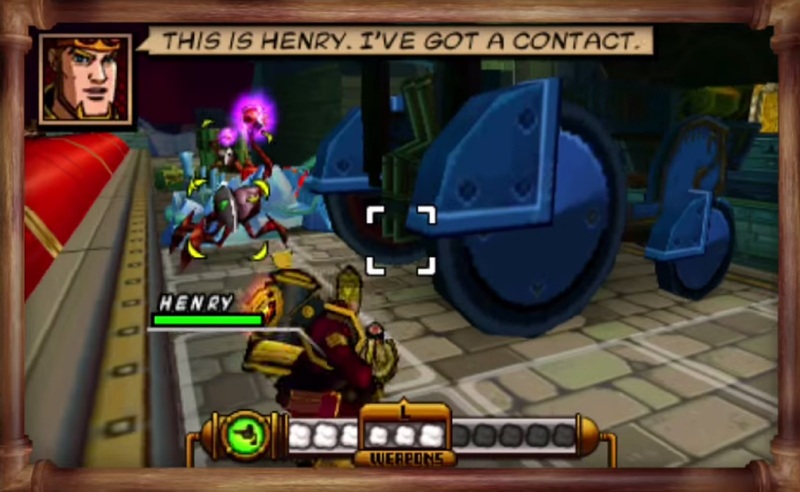 This is S.T.E.A.M.’s counter-attack procedure, and can only be activated if a character has enough steam left at the end of the player’s turn. Fulfilling the criteria means that the character will not only negate an attack from an enemy unit, but counter-attack instead. Only certain weapons are capable of this, and are highlighted by an icon on the character select screen. But, for it to be successful, the player must end a turn with the correct weapon equipped and enough steam to use it. This once again leads to another layer of strategy, in which the player must weigh up making progress against holding back with steam for possible Overwatch counters. So far, in my few hours on the game, there have only been two different objectives to fulfil. But, with this being Intelligent Systems, I have every faith in the diversity of future objectives. As it is, I have returned to play previous missions and S.T.E.A.M. gives you the option to replay the previous missions with additional parameters placed on them, and greater rewards. 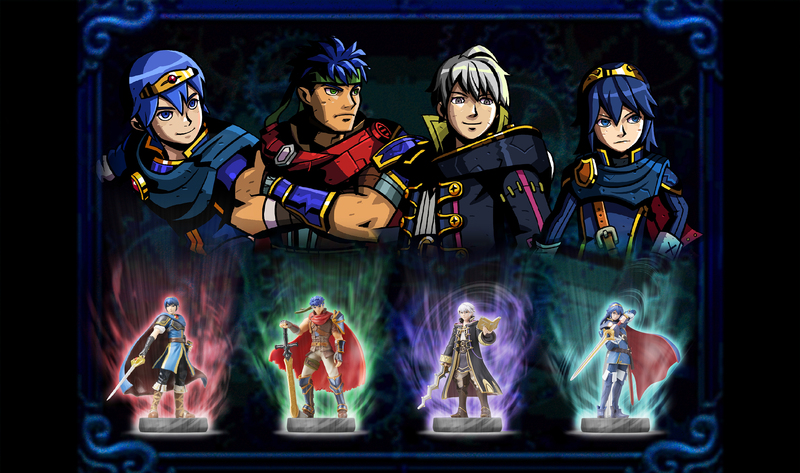 Then there is the Amiibo support which allows you to unlock the four Fire Emblem characters that currently have Amiibo as playable units. Each of these have pre-determined main and sub-weapons and are of varying powers and abilities (Lucina is my personal favourite). The key difference being that if the Fire Emblem characters fall in battle, they remain fallen until you can tap the Amiibo again whilst in the between-mission hub. This little authentic touch truly gives the impression that Intelligent Systems care about their other franchises, and it’s great to see. Aesthetically, Code Name S.T.E.A.M. is a beautiful game. The entire game follows a comic-book style, with blocked colours, bold outlines, and sound effects supported by onomatopoeic words across the screen. The whole effect is undeniably silly, but incredibly immersive. Even the Fire Emblem characters have been slightly redesigned to keep them within the universe they now inhabit. The aliens as well look incredible and are already (in my playing of the game) both physically (in terms of their actions) and visually unique between classes. The environments you are fighting through are beautifully realised little dioramic set-pieces, great to both explore and destroy. Then the music … the music is wonderful! From the catchy and stupidly humorous title screen music (trust me, check it out), to the perfectly realised score in-game, the music is possibly one of the best scores from an Intelligent Systems game. So, should you buy Code Name S.T.E.A.M.? Usually, I would say that you shouldn’t buy a niche title like this unless you already have a love for the genre, but then new and incredible IPs like this will get ignored. Instead, what I will say is to download the demo, and at least give it a try. S.T.E.A.M. is a fantastic game, and deserves a great level of attention and praise. I usually am not one for comparisons, but if you love Fire Emblem, you will love this. Do you intend to pick up a copy of Code Name S.T.E.A.M.? Let me know in the comments, or on Twitter (@reuthegamer).